Just in case you’re wondering how come I no longer live on the St. John’s University campus ~ well, this is the current state of my former house …. As you can see, major renovations are well underway – the aim being to convert the row of 5 houses into guest house style accommodation to be run by the SJU Tourism Department – to give their students some practical experience. 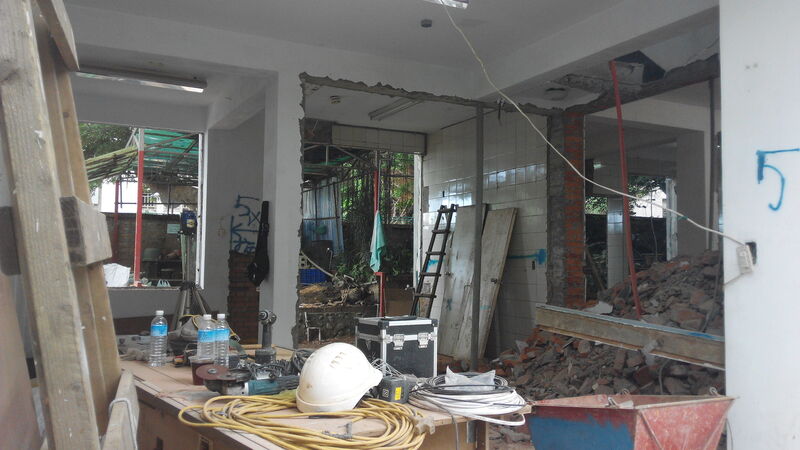 Not just all the interior walls are gone, but also the stairs…. Yep, just watch this space lol! Previous PostWelcoming Global Teams International!Next PostTamsui ~ in all it’s glory!